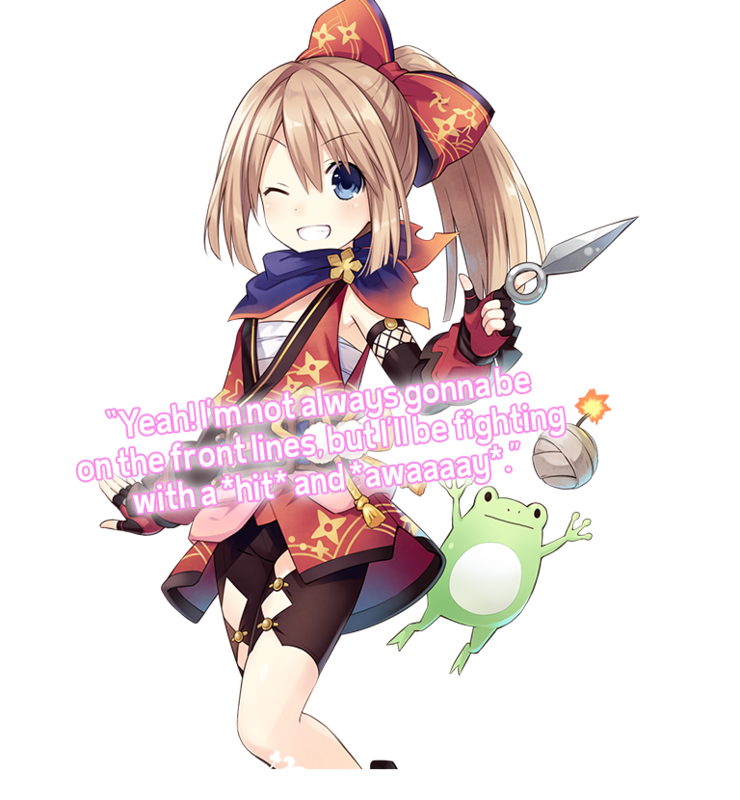 A Goddess Candidate of Lowee, and Blanc's younger sister. She is Rom's younger twin sister. Her personality is lively and rambunctious, and she's often seen leading her bashful sister, Rom. 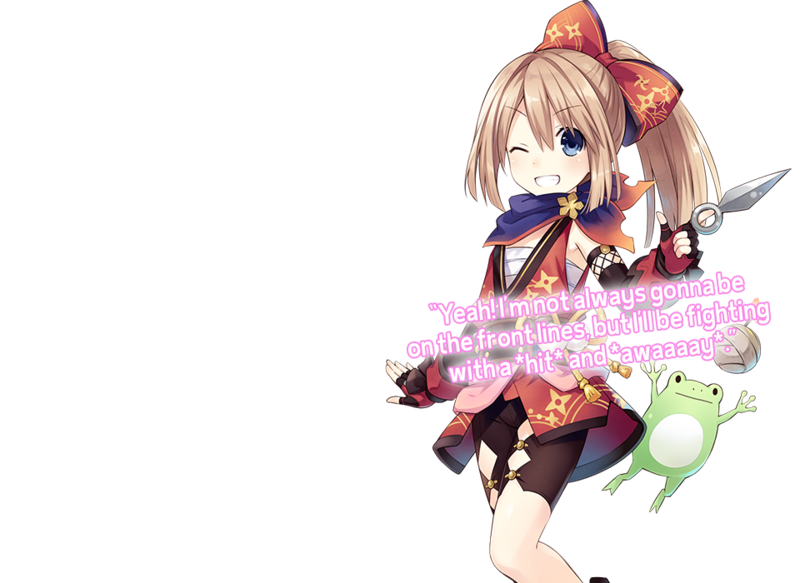 Normally, she acts rudely to just about everyone, but she's promised Blanc to behave in this online game. She managed to create a 4 Goddesses Online account on her own intuition, despite having some trouble with the difficult words. She has chosen the Ninja class. Her playing style is suited for mid-ranged attacks as she utilizes her ninjutsu skills and melee attacks in order to break the enemy quickly.